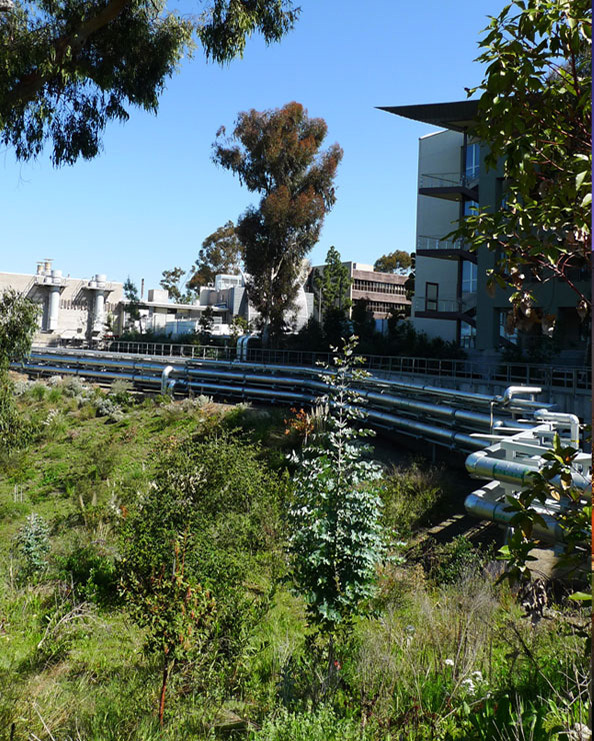 The dramatic and powerful functions associated with the emergency generators gave form to this small utility building located on the north end of the UCSD Medical Center in Hillcrest. The building is essentially an acoustical shell wrapped around two generators that have three characteristics; 1) intake of air from above for cooling, 2) exhaust of heated air 3) creation of noise. The design for this building expresses these characteristics as distinct forms composed to illustrate what is occurring inside. A large horizontal form rises over the basic building cube highlighting the intake duct. 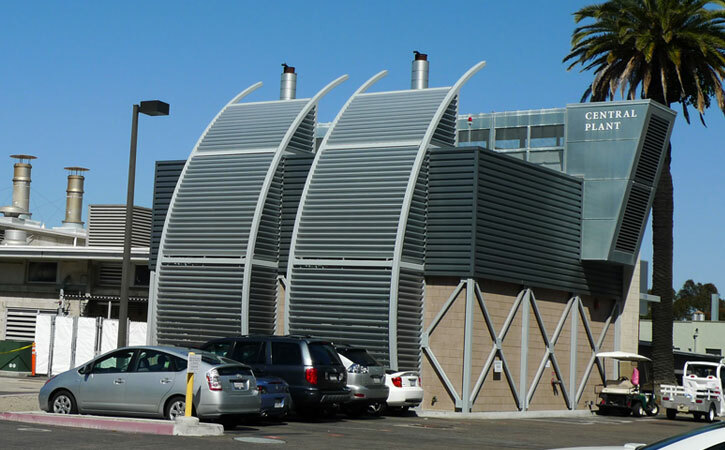 Twin arching louver forms dissipate exhaust air on the south side of the building. The building cube is divided horizontally to illustrate the space on the ground where the generators sit and the "acoustical air trap" above, which is wrapped in metal siding. The north side of the building is a tapestry of multicolored, and textured masonry that forms the edge of the entry courtyard of the adjacent complex. The slight rotation of the building allows for the existing 50' Canary Island Palm to remain in place. An existing concrete bridge was upgraded to conform to SB1953 requirements by installing concrete shear walls and 3-foot diameter caissons 30 feet deep. 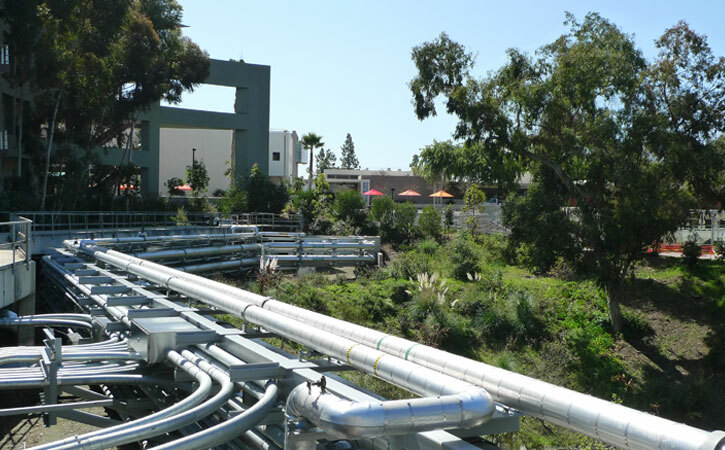 Expansion joints were installed on existing utility lines that supply the main tower and other facilities. Existing electrical switches were replaced and relocated, and aging electrical feeders were replaced. The bridge is architecturally enhanced with new guardrails, concrete treatments, architectural grills, landscaping, and an access ramp.